He has it all, the world's best-looking women desire for his stunning creation whether Oprah Winfrey or indigenous Ashwariya Rai, Rani Mukherji to Vidya Balan just name it. Sabyasachi, the red carpet loved designer widely known for his intricate, elaborate yet classy designs, whether magnificent saree or muse in western Silhouette. One of the associate design members of the fashion design council of India and one of the youngest member of the national museum of Indian cinema, he is the first Indian designer to show at the Milan fashion week. Sabyasachi, his phenomenal designs always struck me. It was a pride and happy moment when I saw Sabyasachi's collaboration with pottery barn. The Sabyasachi for Pottery Barn holiday collection includes more than 50 pieces, such as floral plates, mix animal plates, Christmas ornaments, jewelry boxes, brocade and embroidered pillows, block-printed reversible quilts and tufted rugs that range in prices from $14.50-$1,799. As soon as I came to know, I couldn’t stop myself. I called the store, they said only a few pieces are left. But, when I went to the store it was unavailable, there are no pieces left. But, there was a hope that it was available online. I immediately ordered it online. Today, In my mail I got my plates. Those were not just plates, a piece of creatively crafted art. You can sense India with a very global and international touch. 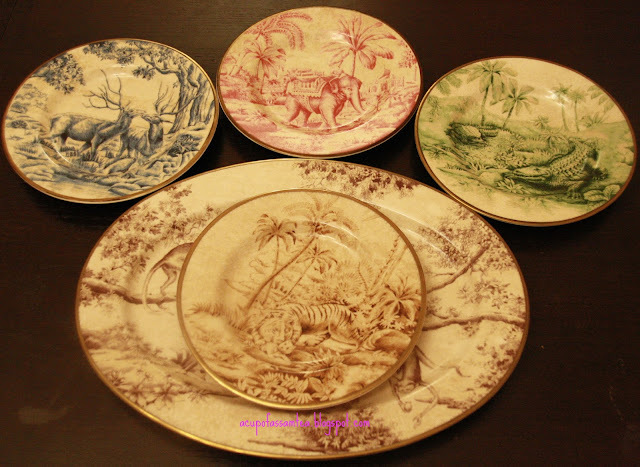 I got mix animal platters (Elephant, Tiger, Deer, and Crocodile) with big serving plate (Monkey) print with an antique finished golden trim. A pretty jewelry box too with bird motif which I will cherish years to come. His Collaboration with Pottery barn has a vintage appeal with an old world glamor. Unfortunately, I could not see his bedding collection with my eyes, as it was sold out. Whatever I saw online, it is created very tastefully using rich color with the luxurious feel and natural fabric. The collection is very global with a touch of Indian soul to it. One more thing I got from his collection is a Christmas tree ornaments. Probably the best ornament that I could wish for my Indian-American home Christmas tree. 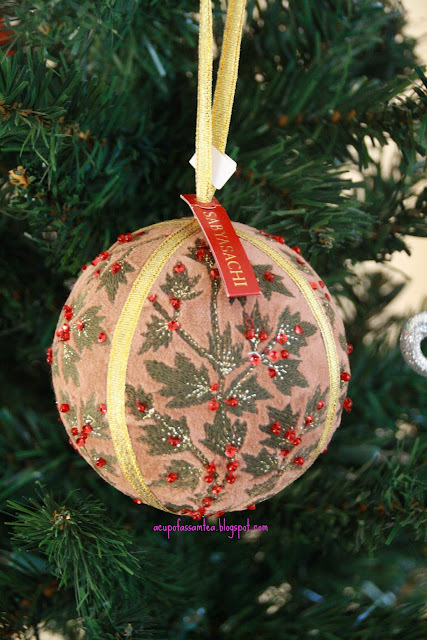 What could be better than a Christmas ornament by Sabyasachi? As he says, it’s very globally relevant, with a dose of quirkiness with Sabyasachi way. As he mentions for pottery barn collection, after seeing his collection people would get inspired to travel to India more. But in my case, having a few of his collection brings India (home) closer to my home here. Nicely presented of a classy work! I love the design. It's classy, well-crafted and looks timeless. Wow-- that is cool. I couldn't own stuff like that right now with three kids but it is very stylish! Yes, it is very stylish. Thank you so much Via ! The Christmas Tree ornament is beautiful. It is great that he had his work showcased in Milan as well ! True Ana. Thank you so much! This stuff really looks gorgeous! 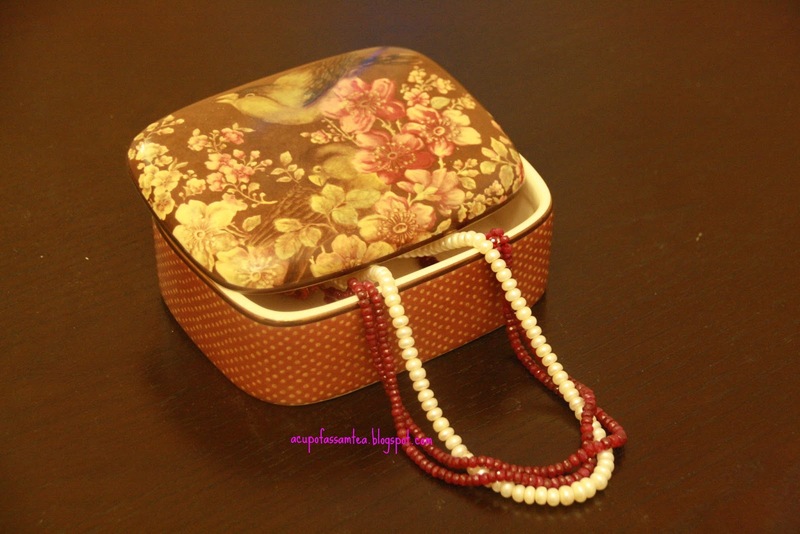 Vintage, Classy.. but I bet its expensive too more over if that would be something limited collection. But it really looks great! So true. Thank you so much Elaycasipagan! Very beautiful pieces. I am glad you were able to get them online. I would have been so disappointed if I wanted it and couldn't get it anywhere. The work and detail is fab! Me too. Thank you so much!